Bring your ticketing pre-sales to the next level and maximise your reach with EVENTIM.Light. Start now, free of charge. 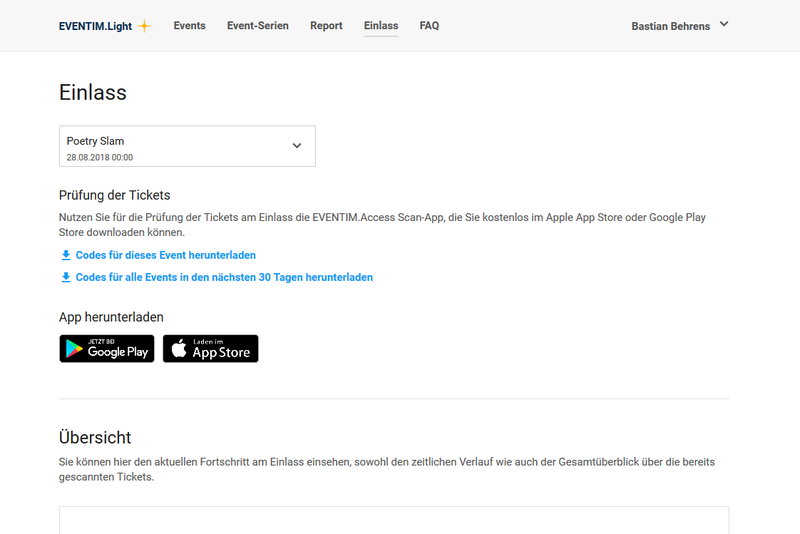 Sell tickets to your events via the EVENTIM network or your personal ticket shop - online and offline. As part of the EVENTIM network, your event will be automatically integrated into our online marketing campaigns to drive more ticket sales and increase the outreach. Free of charge and without any effort for you. 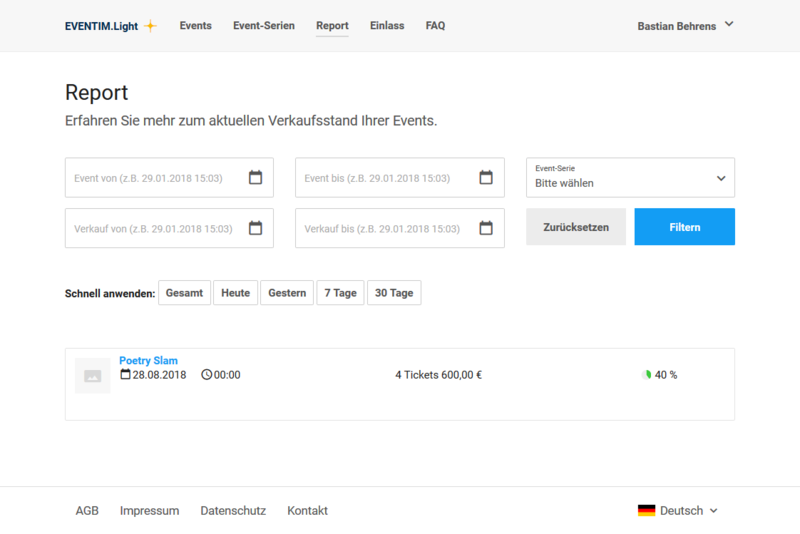 With EVENTIM.Light your event will be placed in more than 10.000 ticket outlets in Germany - the perfect extension to your regional event marketing. 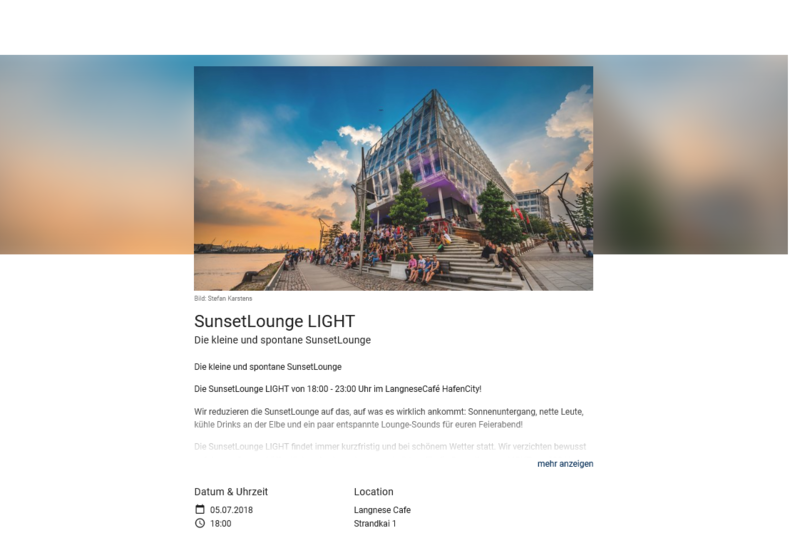 On Eventim.de your event will be provided to more than 365m page views per year. In addtion several EVENTIM cooperation partners increase the reach of your ticket pre-sales. Search Engine Advertising and Optimization, Display Campaigns and Email Marketing - your ticketing sales will benefit from continuous EVENTIM online marketing campaigns and optimizations. Do your ticket buyers prefer to order via telephone? No problem, your events will be bookable via the EVENTIM ticket hotline. EVENTIM.Light will guarantee a fast and secure transfer of your revenues after the event. We care about the needs of your ticket buyers. 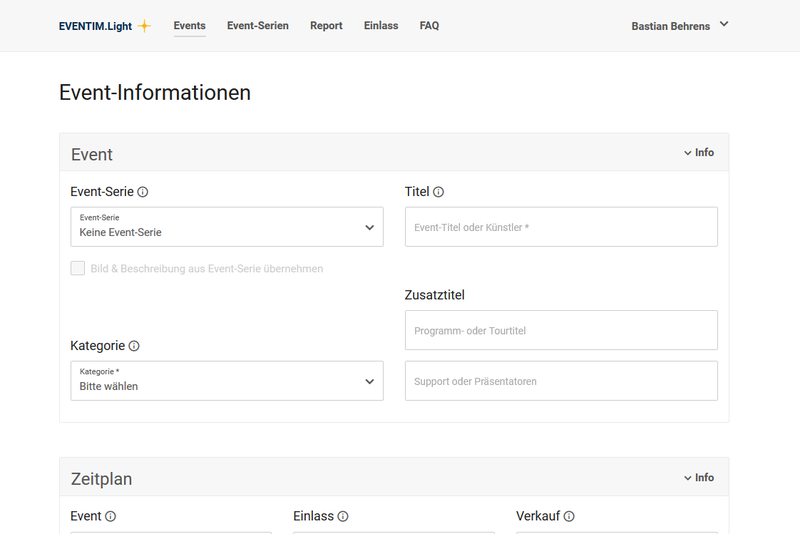 In case of questions regarding tickets, the booking process or changes of the event date or location - we will take care of all customer communication. 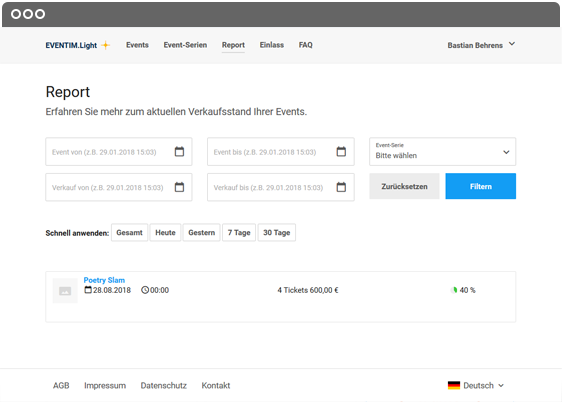 With EVENTIM.Light you can set up your events within minutes and start the ticket sales right away. Manage the event set up as detailed as you like. Define i.e. different seating areas or price levels in combination with limited early bird offers or VIP tickets. Selling tickets via your EVENTIM.Light ticket shop is very easy. We provide an online shop which comes along with an mobile-optimized buying process that can be easily used on every device. See all relevant figures at a glance on our reporting dashboard. This helps you to keep an overview of your ticket sales. Using our EVENTIM.Access Scan-App to manage the admission will allow you to monitore the process at the entrance. 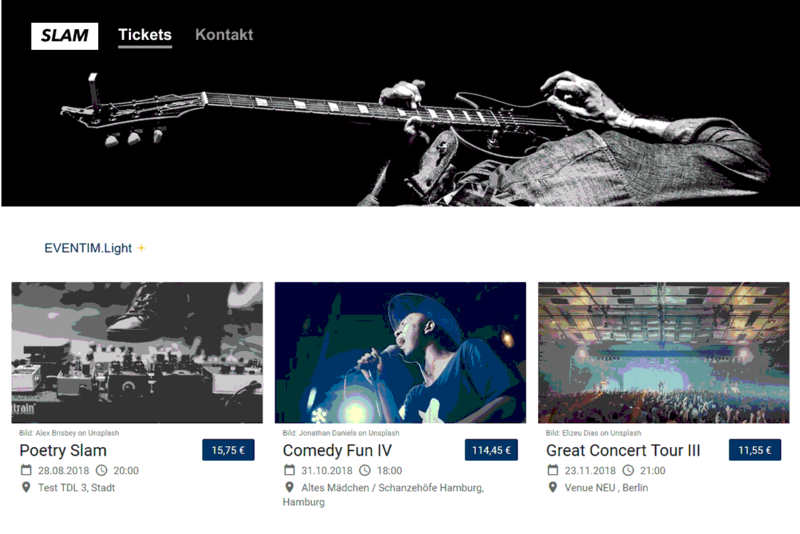 Your responsive EVENTIM.Light ticket shop can be perfectly integrated into your website using an iFrame integration.